Listener Question – Best Bang For Your Buck Vocal Mic? On this episode of the podcast, Kevin takes a question from one of our listeners asking about the best “bang for your buck” vocal microphones. 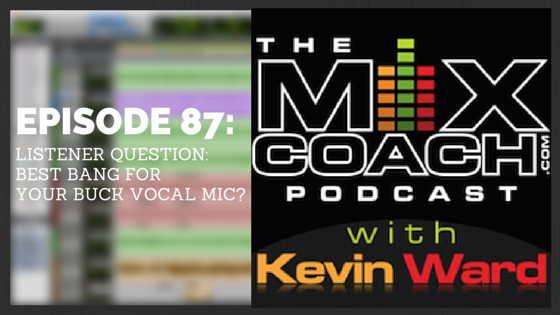 Check out this episode of the podcast to learn what advice Kevin has for purchasing new vocal microphones! Previous Post My New Mastering Tools – Metering Next Post Listener Question – Can I Get Professional Quality Results When Mixing “In The Box”?